Heeft u een vraag voor Sahid Mutiara Karawaci? Tijdens uw bezoek aan Tangerang zult u zich snel thuisvoelen in ParagonBiz Hotel, dankzij de hoge kwaliteit en de goede service. Vanaf hier kunnen gasten genieten van eenvoudige toegang tot alles wat de levendige stad te bieden heeft. Ook gemakkelijk te bereiken zijn Imperial Golf Club - Lippo Karawaci, Lippo Karawaci Straat, Siloam Hospitals Lippo Village. Voor ParagonBiz Hotel is niets teveel om het gasten naar de zin te maken. Zo biedt dit hotel goede service en vele faciliteiten. Gasten kunnen gebruikmaken van hotelfaciliteiten als 24-uur roomservice, gratis wi-fi in alle kamers, 24-uur receptie, bagageopslag, wi-fi in openbare ruimtes. Aanvullend beschikken alle gastenkamers over een variëteit aan voorzieningen als slippers, plasma tv, draadloos internet (gratis), rookvrije kamers, airconditioning, om zelfs de meest veeleisende gast te tevreden te stellen. Hotelfaciliteiten als zwembad (buiten), wellnessfaciliteiten, massage, zwembad (voor kinderen), tuin bieden alle gelegenheid om te ontspannen na een drukke dag. Met een ideale locatie en bijpassende faciliteiten, is het ParagonBiz Hotel voor veel gasten precies wat zij zoeken. Bij de accommodatie is een badjas niet beschikbaar. No doubt it was a one day stay in this hotel, I was truly impressed by Miss Gita's warm and friendly welcome. As usual, a professional explanation of check-in procedures was given to me by her. A gentle reminder of taking care of my personal items was (too) given by her. I was honestly grateful to her care and concern. All staffs are polite, friendly and courteous. I am not a stranger but a family member in this hotel. The room, 703, was clean and neat with no complains. Wonderful! 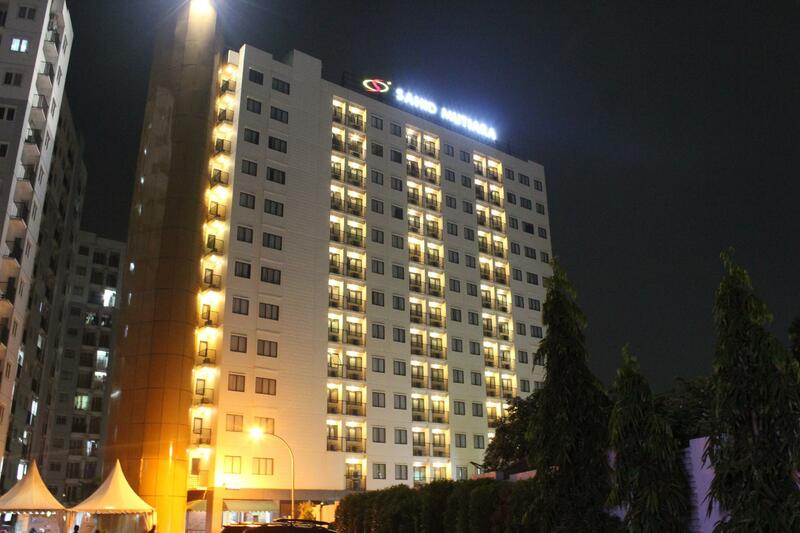 I urge all others come to stay in Hotel Sahid Mutiara when you are in Karawaci. 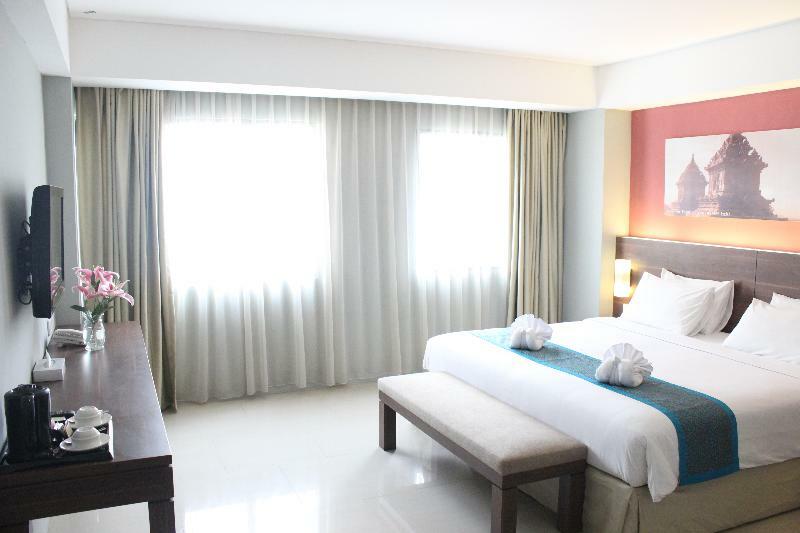 Hotel Sahid Mutiara's door is always open to us with friendly and caring welcome. Thank you. Only stayed 1 night and left feeling satisfied with our accommodation. The room was in good shape although the shower area is badly designed. Rare to see a plastic shower curtain in a hotel of this stature and that's one thing the management should look at upgrading. Breakfast was adequate at best. Don't get me started on the bread toasters in hotels in Indonesia again. Sahib Mutiara Karawaci has the most importance...HONESTY. Check-in on 25 October 2018. The staff, Mr Rizki, serviced professionally in rectifying the wrong issuance of hotel room. I supposed to stay in Room 603 instead of Room 601. I left my newly bought NIKE watch in Room 601 unknowingly. The following day, I realised my watch went missing. I promptly sought help from Ms Gita, a wonderful staff, and Ms Eia in the finding of my missing watch. Unfortunately (again), I lost my swimming goggles too on the same morning. I was flabbergasted when I saw both my watch and swimming goggles at the reception counter within a short period of 30 minutes. It was Amazing! My swimming goggles was found by Mr Arief and my watch was found by one of the house keeping staff. Ms Gita, Ms Eia, Mr Rizki, Mr Aroef and the house keeper had done an excellent job! Hotel management should recognise their sincere and committed efforts! Stayed there for two nights in a workdays and it was so comfort (deluxe room). It was very quite except my room right beside the lift (607). So little bit noisy from the lift movement. The minus thing only for the bathroom, they use only shower curtain and not the glass partition, it makes the water soaks the entire bathroom floor. They have large and nice pool area completed with kids pool. So many cheap food stall around the hotel area. We got around by Grab so the location isn't really an issue. Everything was in place and staff were friendly. Clean and comfortable. Would recommend if you are not a fussy traveller. it is a nice hotel, good value for money. they gave us 2 rooms with a connecting door. the AC in one room was not cool enough, hopefully it is fixed by now. there was also a problem with the lock in one of the room. the staffs were very nice, quick to respond, and helpful. Spacious room with cool aircon. Limited food for breakfast with standard taste. This budget hotel is clean and tidy, but a bit old and need renovation tho. The staff is friendly and helpful. The room is spacious. The location is near the Supermall Karawaci so it's convenience enough. 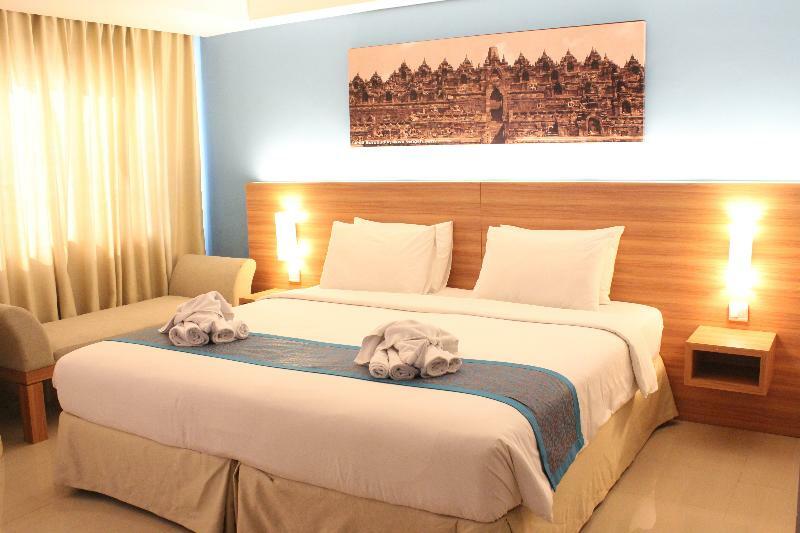 If you're traveller and looking for budget hotel with basic facilities, then it's a good choice. 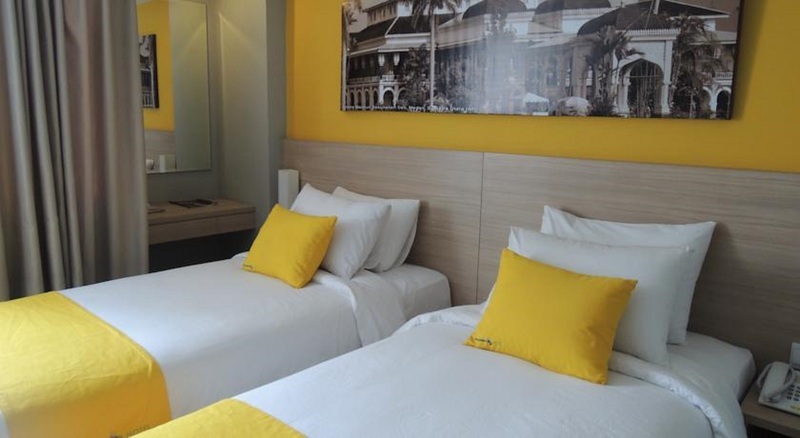 Located not too far from Karawaci Supermall, make this hotel a good choice for 1 night stay. Has gym and outdoor swimming pool is a plus value to me and my family. Too bad when i stay there, customer's lift is only operate 1 unit, so little bit need time to going up or down. I stay in executive room, but there is no refrigerator in the room ! For overall, i think this should be 3 stars hotel only. Friendly staff, got a free upgrade from Superior to Deluxe. 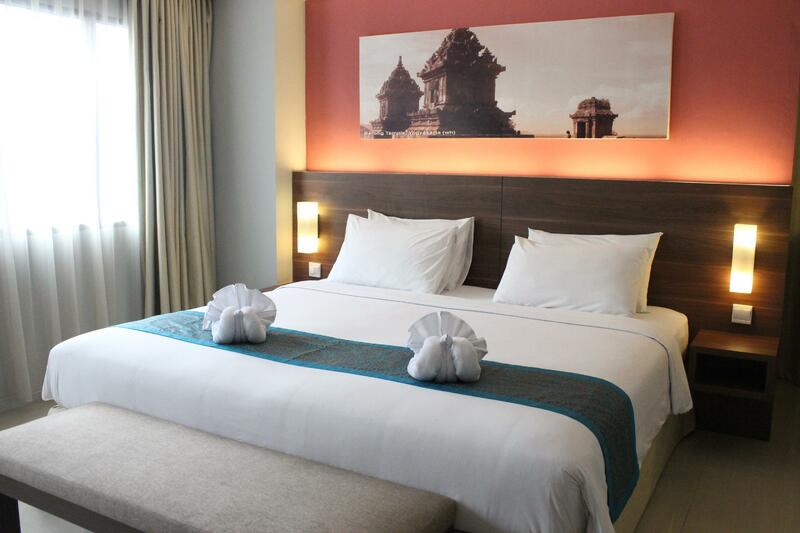 Overall the Deluxe room is comfortable and quite clean. Location, quite far from main road Karawaci. Hot water available, however, WIFI not working. Breakfast decent. It's a complex with a nice long pool, three restaurants a shop and an atm all within walking distance. People are wonderful. Room is nice, except the bathroom.my tap was loose and the floor was wet which you would walk back into the room. For this price with Agoda a gem. But 160.000 to airport. You may find that together with room price too expensive!! This hotel has some Good facilities, but not in its location. after few years ago we stayed at this hotel again, booked executive room, the room was quite roomy but it seems too empty, lacking furniture, no refrigarator no safety box no chair, theres only a flat sofa bar below the bed. the toilet spray didnt work properly and neither to the exhaust fan. but we always love the pool which is large enough. The hotel gave me a free upgrade to deluxe room. The location of the hotel is not that good, you won't find any shopping centres nearby. However, there are convenience shops streetside food stalls within walking distance of a few minutes. The staffs are very friendly and helpful, but the cafe tend to be short on staff. Overall, it is a nice stay in this hotel. You will love it if you are looking for some peaceful relaxation away from the busy city. Food was better compare to our last visit; the staffs were friendly and warm and finally, the housekeeping was fast but control of facility and cleanness were bad. There were some issues: 1. The shower was broken; 2. The linen was dirty and we experienced allergy; 3. The housekeeping then changed it fast and efficient; 4. The employee area (we managed to sneak in) was really dirty, this explain that the management was not really care about the overall maintenance / cleanness of the venue; 5. Finally it is a relatively new hotel thus disappointing if we already has such issues.